As we say goodbye to 2015, Wichita Falls, Texas area lakes are better than they have been in some time and that has the Lake Wichita Revitalization Committee seeing a brighter future for one of Texas’ first man made lakes, including making recreational improvements and doing excavation so the 114-year-old lake can hold more water for a longer period of time. “One of the most exciting things is hiring the engineering firm out of Houston, Corollo Engineering, to take care of the final bits and surveys and studies that we need for the corp of engineers permit that we have to get. They’re in the middle of getting those things put together,” Steve Garner, chairman Lake Wichita Revitalization Committee, said. Garner says they hope to have all of those surveys and studies done by the Spring, so they can meet with the corp of engineers to go over everything they need for the permit for the project. “We’ve met with them twice already, We’re going to meet with them at least once more maybe twice between now and the application itself, so that when we submit this application, it’s just a matter of them going over it and saying here you go, let’s get started,” Garner said. Back in September, city councilors approved applications for Texas Parks & Wildlife grants that would total just over three million dollars and would be matched with four million in local funding and the rest will be funded by the community. 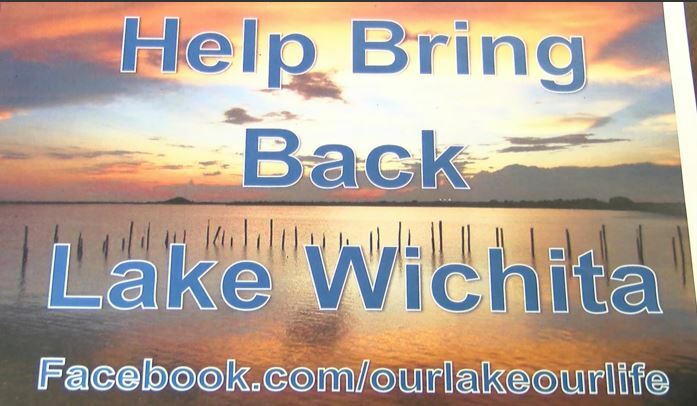 “Lake Wichita Revitalization is something that the community really needs, but the sticking point to it will be getting the funding,” Glenn Barham, mayor of Wichita Falls, said. See January 19, 2016 article on new funding received for lake revitalization.